If you’re like most of the country, you’re still digging out from March’s late winter wallop. With four nor’easters back-to-back-to-back, many parts of the country dealt with a foot plus of snow with each storm as well as power outages, high winds, downed power lines, and other dangers. You probably haven’t been able to get to the gym regularly this month, which is understandable. Still, cabin fever has taken over, and you’re itching for some exercise. What can you do? Just try the following activities! 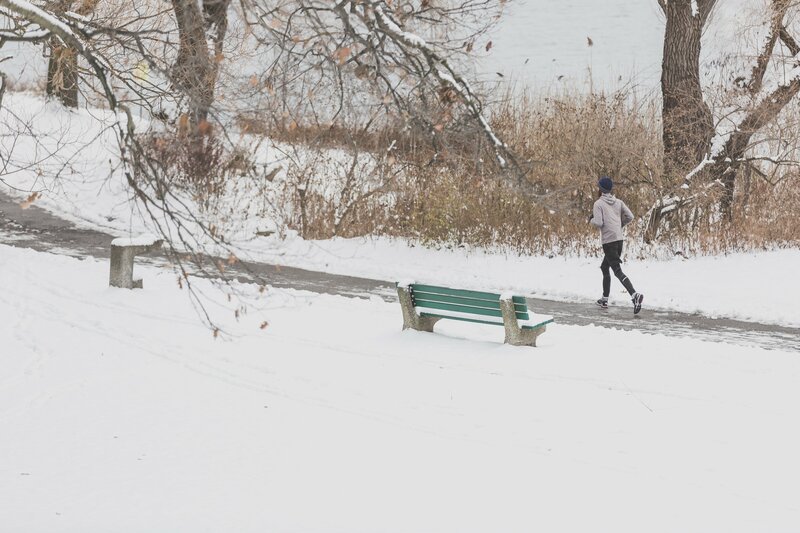 If the sidewalks are adequately shoveled or plowed in your neighborhood, then feel free to go for a frosty walk or jog. It’s recommended you don’t do this before sunrise or after sundown, because without sunlight, ice can form on hard surfaces. Sometimes you don’t see it until it’s too late and you slip and severely injure yourself. Be careful out there. If it’s too risky to go outdoors because your street is plagued with down powerlines or there’s simply too much snow and ice, then get your sweat on indoors. You can always recreate your yoga class at home. There are plenty of YouTube yoga videos you can follow along with, like this one for beginners from Julie Martin. Now, you want to go slowly if you use these items, as some of them can come uncapped or rip open, like a bag of potatoes, rice, or pet food. In a pinch, though, they work. There’s a lot of snow out there, so get rid of it by shoveling. Many weather experts have warned that this March’s nor’easter snow has been heart attack snow. Since it’s so heavy, those who are older or have preexisting health conditions may be at risk of serious injury, so take breaks and listen to your body while shoveling. Are Protein Powder Meal Replacement Shakes Safe?